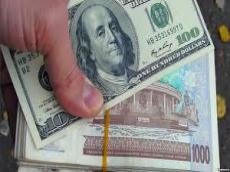 The Central Bank of Uzbekistan has published new exchange rates, which will be effective from Oct. 23, Uzbek media reported. The US dollar shows a positive trend for eleventh week in a row. The US currency rose this week by 18.6 soums. Starting tomorrow, one US dollar will cost 8226.10 soums. Euro dropped down this week. The European currency fell to 9470.71 soums, down by 19.43 soums compared to the previous week. Russian ruble slightly increased. Its value rose up by 1.91 soums and reached 125.76 soums.